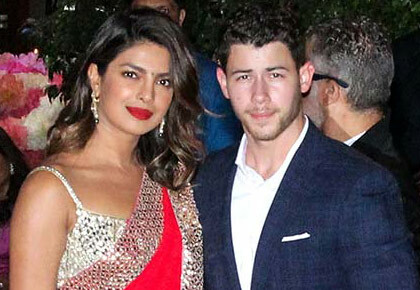 Rediff.com » Movies » Don't Priyanka and Nick look good together? Don't Priyanka and Nick look good together? Looking dazzling in the colour of love! Priyanka Chopra looked like a million bucks at Mukesh and Nita Ambani's son Akash with Shloka Mehta's pre-engagement party in Mumbai. 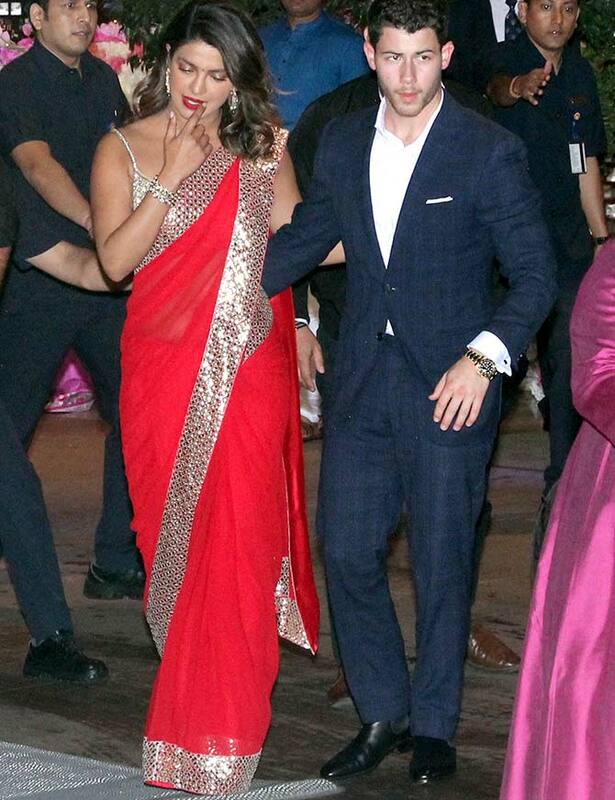 She walked in hand-in-hand with beau Nick Jonas, where he got his first taste of a Mumbai high society party. They did not shy away from the cameras, and looked very comfortable with the flashing lights. Priyanka was dressed in a red and gold sari designed by Abu Jani and Sandeep Khosla while Nick wore a blue suit. They mingled with the other guests at the party including Shah Rukh Khan and Gauri Khan, Ranbir Kapoor, Alia Bhatt and Karan Johar. The next morning, the couple reportedly flew to Dubai.